I watched 'The Secret' when it first came out in 2006 and read the book as soon as it was released. Ironically, the video I watched was a burned copy of the original. Someone gave it to me before I knew what it was about. Once I watched it, I was worried that the fact I watched a free, burned copy of the video meant I was going to attract people and situations to my life that did not value me, used me, or some other negative consequences would come my way. Because the law of attraction is all about attracting into your life what you put out, right? Well, over the years I have learned so much more about this stuff. I'm not an expert on this topic, but, I know it can help entrepreneurs and business leaders. There is a phenomenal amount of research being done on our thoughts and the impact of our thoughts on our beliefs and actions. We know that positive thoughts attract positive beliefs and positive behaviours. We also know that when we behave in certain ways, we attract similar people and situations to our lives. All that seems true to date, and much of it is scientifically proven. However, what is not yet known is how to control the original thought that enters our minds. I have not read any research to date that states we can control this. The Dalai Lama himself believes it is impossible to stop a thought or emotion from arising. But what the Dalai Lama and other experts know is that we can control what we do with that thought or emotion once it arises. So, let's get it straight. You are not going to fail in business when you have a fear or negative thought about success. 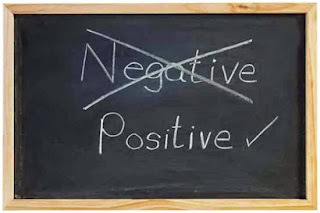 One of the ways I have learned to deal with negativity or stress is to not feel bad about feeling bad. That simply leads to more stress. 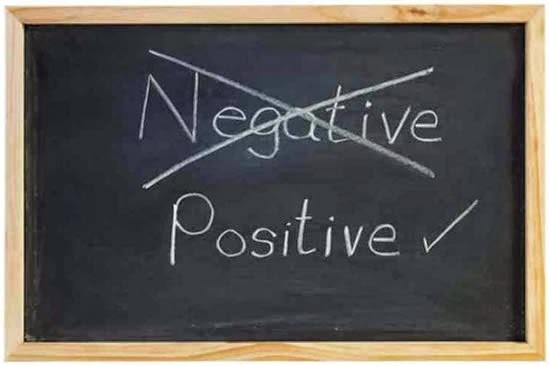 Many mindful leaders know about law of attraction, so they feel bad about feeling bad... because then they believe they will attract failure and negativity... and this simply exacerbates the negative feelings. We are human and will feel bad sometimes. We will have negative thoughts and emotions. Period. Being mindful and attracting the business and life you want does not mean you are free from negative thought and emotion. However, to be successful in business, the law of attraction can be very useful. I help my clients to shift perspective into more positive, healthier, and more motivational mindsets. It's not because I think their thoughts alone are going to change their businesses to be more successful. And it's not because I believe the shifts will make them an overnight success. It is because of what happens after the shifting occurs. If you look at any successful entrepreneur or leader, you will see that their perception of things is positive, solution-oriented, and one of possibility. Even when a disaster happens, they see it as a learning experience or they springboard off of it for a greater success. Their perception allows them to see opportunities for success more clearly. They will have just as many (or more) failures. They will feel bad about them. But they will perceive them differently, which will make them behave differently. And THAT is what makes them successful. When we think about failure or something negative, we are naturally inclined to seek out situations to prove what we think. However, when we think about success, we seek out situations that may bring success. We choose differently. Whatever it is, we are motivated to prove ourselves right. So as an entrepreneur or business leader, if we think a project or venture will fail, we will naturally seek out proof that it will fail... and it probably will. So thinking of success will motivate us to choose differently - to seek out proof that it will succeed. It doesn't mean it always will, but because you are choosing actions and making decisions to prove success, it increases the chances. Have you ever thought about finding a parking spot in an area where it's near impossible, and there was one there - right in front of the building you were going to? Some call this the law of attraction and feel that because they thought of it, it appeared. That, to me, is magic. What I think is more likely is the fact that you thought of it, therefore it was in your awareness, and when one was available, you noticed it. You also noticed that it was near the building you were going to. When something is put into our mind, we begin to notice it more and more. For an entrepreneur or business leader, this can be very useful. There are an unlimited number of opportunities that are just waiting to be discovered and created. When an entrepreneur/leader thinks about opportunities and possibilities, they begin to appear. It is not that they weren't there before... it is more about noticing them. If you are not allowing positive, creative, possibility thoughts into your mind, these opportunities will go unnoticed. Or if you are ruminating on thoughts about there not being any opportunities, well, there won't be any opportunities. Of course, it is all up to you. That is what is so great about all of this stuff... it is completely your choice. Tina, great info taht all business woman need to hear. Thanks for the post.